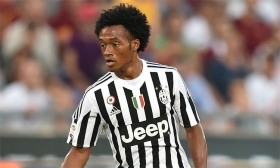 Juventus have agreed to sign Chelsea winger Juan Cuadrado on a permanent basis, according to reports. The Colombian international was highly unsuccessful during his spell at Chelsea last season, and was shipped out on loan to the Old Lady over the summer. Cuadrado has since then had a mixed campaign, but his injury-time winner against Torino showed his ability to find an end product to his game. Recent reports had suggested that Juve boss Massimiliano Allegri was mulling over a long-term deal for the 27-year-old attacker, and London Evening Standard now confirms that the former Fiorentina star will link up with the Turin giants permanently in January for ?15.75m. Cuadrado made just four league starts for the Blues following his move from La Viola in January.